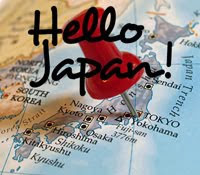 For June's Hello Japan! Challenge, Tanabata of In Spring It Is The Dawn challenged us to "read, or otherwise enjoy, manga". You may remember that I first read a manga last October. I chose a "scary" title and had a lot of fun with it. If you would like to know more of the facts about manga, you can read that post. This month, I went to the local library and looked through the many series. 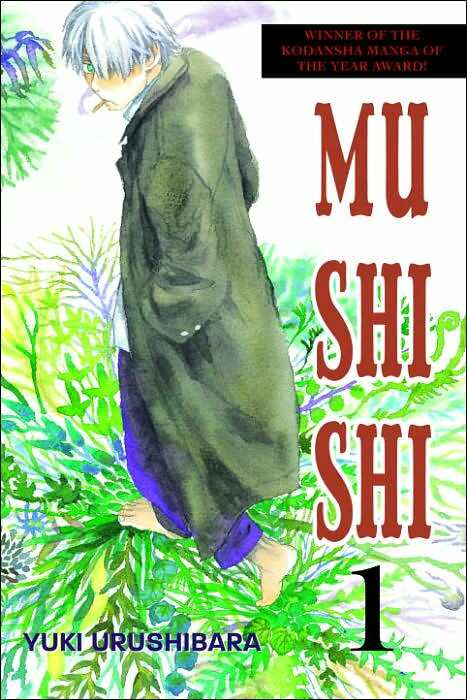 I ended up choosing the award-winning Mu Shi Shi: Volume 1 by Yuki Urushibara. It looked interesting and also was one of the few first volumes available. Most of the other series just had a random selection of volumes but I'm pretty picky about starting at the beginning of a story line. It's hard to explain exactly what this series is about but it's a collection of the stories of Ginko, a mushishi -- someone who can interact with the mysterious creatures (mushi) in nature that are neither plant or animal. They are sort of like spirits but have some sort of physical manifestation. They tend to interact with humans in strange and harmful ways and Ginko is skilled in separating the mushi and healing the humans. This volume had five different story lines in it. I had a great time with this book and was really excited to see that there is an anime series based on it. I've just added the discs to my Netflix queue! There is also a live-action film from 2006 by the director of Akira, an anime classic. I'm really curious to see the manga to live-action transformation. When I'm in the mood, I think I will also pick up more of the six remaining volumes of Mu Shi Shi. Support our site and buy Mushishi 1 on Amazon or find it at your local library. We borrowed a copy from the library. We are so wildly different in what we read! I've heard of this series but didn't really know what it was about. Sounds intriguing though, I may have to try it too. Glad you enjoyed it! Jenners - It's kind of weird! Nat - I'm still loving the challenge! Thanks for getting me to try all of these new things!